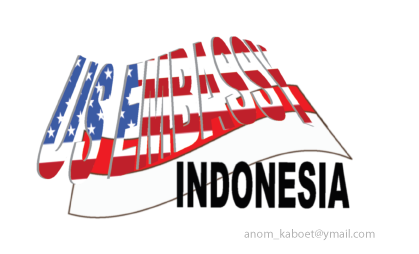 Announcing Political Specialist vacancy at the U.S. Embassy Jakarta. For more information: https://alumni.state.gov/indonesia/news/alumninews/alumninews2/the-u.s.-embassy-in-jakarta-is-seeking-an-individual-for-the-position-of-supervisory-political-specialist-in-the-political-section.#vfCXgLyutR0nOGqA-qZgwg / http://jakarta.usembassy.gov/open_vacancies/fsn-83_2012.html. The Supervisory Political Specialist is responsible to supervise six Locally Employed Political Assistants and to assist Foreign Service Officers in reporting and analyzing political developments and social trends, as well as reaching out to Indonesian contacts. She/he has primary responsibility for the Embassy’s efforts on Trafficking in Persons, Labor, and Women’s’ Issues, including researching and reporting on those topics for mandated annual reports. The incumbent reports to the Deputy Political Counselor/Internal Unit Chief. 1. Bachelor’s degree in law, political science, social science, economics, or history is required. 2. At least three years of supervisory experience and at least five years progressively responsible subject matter experience; in particular, leadership experience in a civil society organization, political or economic research/analysis, labor, trafficking in persons, or women’s issues is required. 3. Level 4 (Fluent) in speaking/reading/writing English and Bahasa Indonesia are required. Language Proficiency will be tested. 4. Understanding of Indonesia’s political system, organization of the government structures, historical background of the country, and the nature of the political, social, and religious culture of the majority of its people is required. 5. Superior analytical and drafting skills in English and Indonesian; superior contact skills; strong computer skills; ability to take initiative and work independently to plan, organize, and execute complex reports and visits. 4. Any other documentation (e.g., essays, certificates, awards) that addresses the qualification requirements of the position as listed above.